HOME PAGE CONTACT INFORMATION BOOK NOW! Subretia is a journey within a journey. 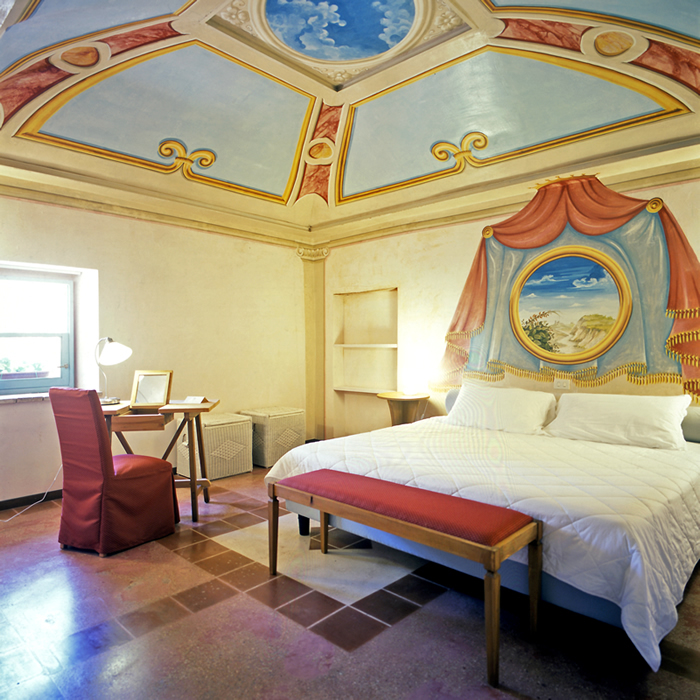 Through the frescoes in the apartments you will symbolically experience again the journeys of your memory, lending a magical dimension to time. The resort ies within a large park with garden featuring pathways lined with beautiful displays of local flora. 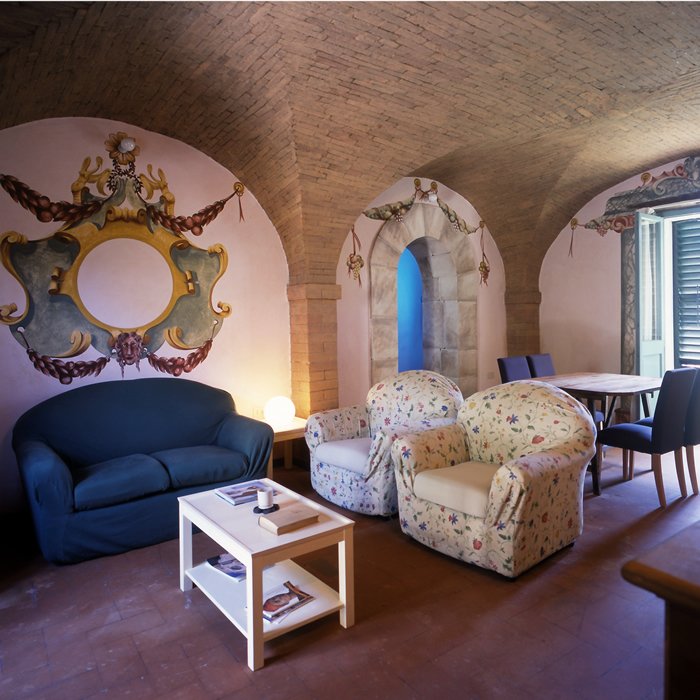 The coffee room, the solarium and the lotus flower-shaped swimming pool with whirlpool system and central fountain are located in the centre of the 18-apartment village, providing a beautiful view of the gently rolling Umbrian countryside. Standard suites range from 25 to 45 square meters in size and include fully equipped kitchen, sitting room, bedroom, bathroom, heating, air conditioning, satellite TV, safe, telephone, sheets and bath towels. Superior suites range from 41 to 60 square meters in size and include fully equipped kitchen, sitting room, bedroom, bathroom, heating, air conditioning, satellite TV, safe, telephone, sheets and bath towels. 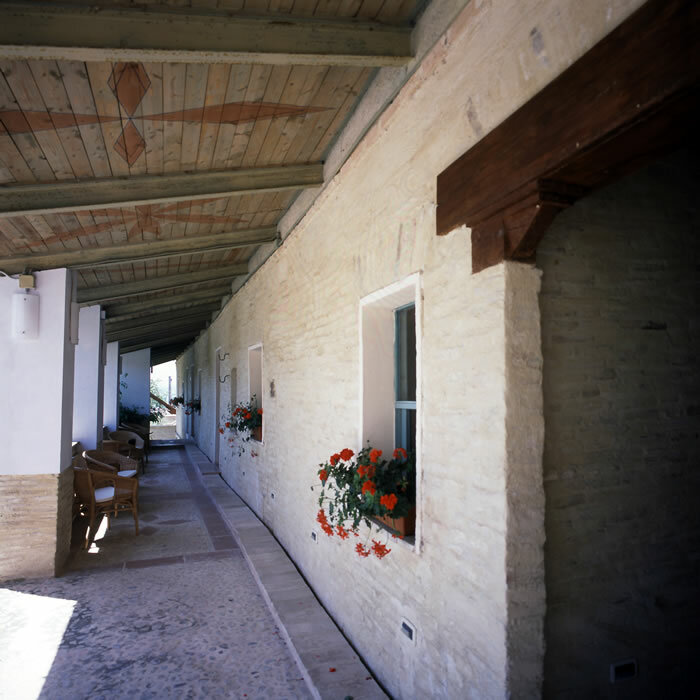 Subretia arranges guided tours for guests to the winery and vineyards of Rocca di Fabbri Estate, followed by a tasting of DOCG Montefalco wines. Discover the new Rocca di Fabbri wines. Discover umbria�s most charming events.